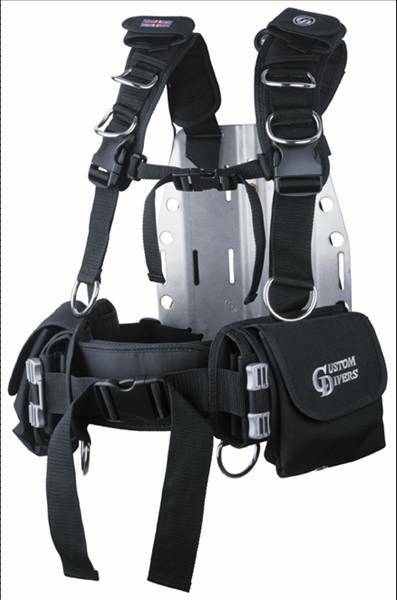 The Sports Harness comes in one size only, is fully adjustable and fits all Custom Divers wing systems and all makes of backplates. It features an integrated quick release weight pocket system, an adjustable cummerband, two accessory pockets, shoulder break points and 10 D-Rings. Each inner pocket has a capacity of 15lbs (6.8Kgs) and is secured to the outer by sturdy double sided Velcro. A strong pull on the high visibility toggles will quickly and safely release the weight pockets.